Dan Hedgespeth has a 50-acre operation, raising 25 cow calves. Being a part-time farmer, he gets the help of his 4 kids to manage the farm, but it is not enough. Having the SL360X bale processor as part of his operation has given them the freedom of time. Dan is situated in central Kentucky, 2 miles from the Eastern time zone, causing him to lose 1 hour a day as he works in the East. This is a real challenge for our part-time farmer, making time precious on his farm. 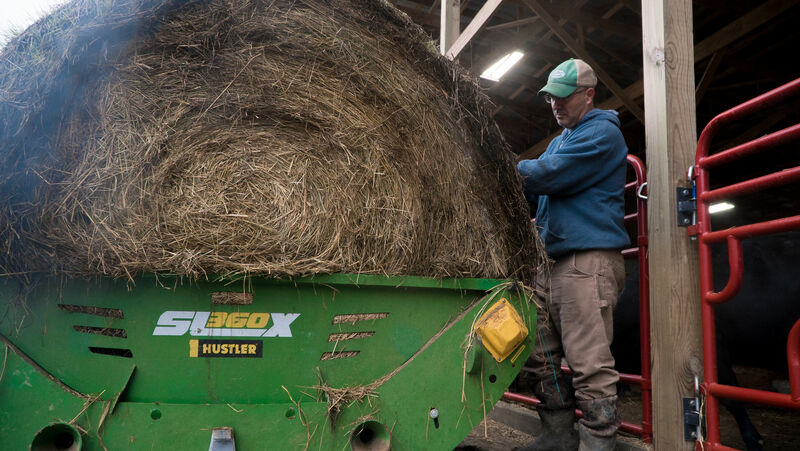 "Every minute we can save is very valuable to us"
Investing in a Hustler SL360X Bale processor has been a real game-changer on this operation. Not only has it allowed our farmer to save time but also been efficient and versatile when feeding out, giving him a better approach to his feeding process and minimizing hay waste. Dan needed to use a product that would feed out economically and save his operation from more damage and erosion during the muddy and wet months. 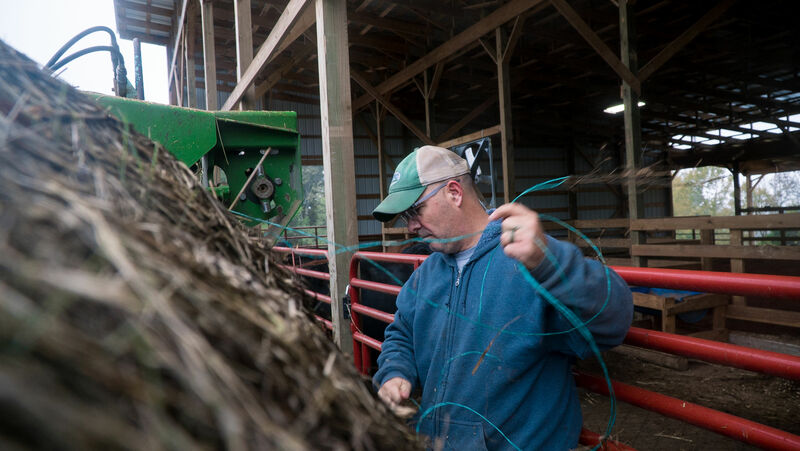 Previously Dan wasn't able to move the cattle around the farm and feed them easily, with his bale processor being so versatile he has the ability to feed any time and anywhere. He can now feed out in the feed way and spread the hay across his operation. Having a Round Bale Feeder which is easier to use than any other type chain feeder on the market today. Most innovative, with 6 unique features making it easier to use, more versatile, and saves your precious time. Has been a much-needed change for Dan. 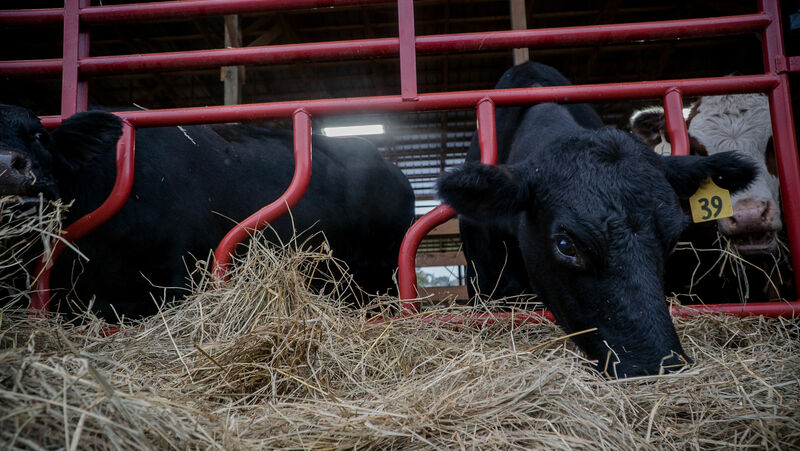 Dan says, Ranches with cattle on their pasture all year long don't have to feed in the same place with a Hustler Bale Feeder as you can feed your hay out moving your livestock which spreads the manure across your land allowing the nutrition to filter back into the soil. Doing his research he found Hustler online and spoke to his local dealer, what he loves about it, is that it's Versatile, Efficient and Time-saving, all the important things he needs to run his operation. 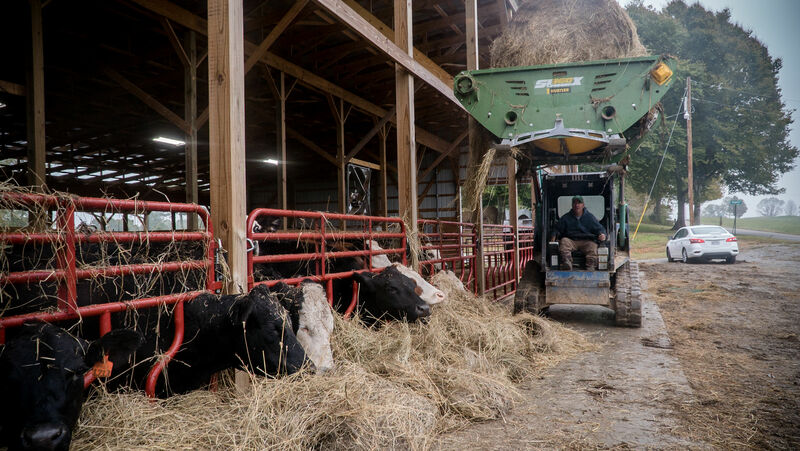 With the work schedule that Dan has, it gives him peace of mind knowing he can get into the skid-steer anytime and easily feed out to his cattle with the Hustler, making sure they get all the nutrition they need is a stress reliever for Dan.